It's not a questions of "how smart are you," it's "how are you smart." Let's try a Multiple Intelligence test... click here. 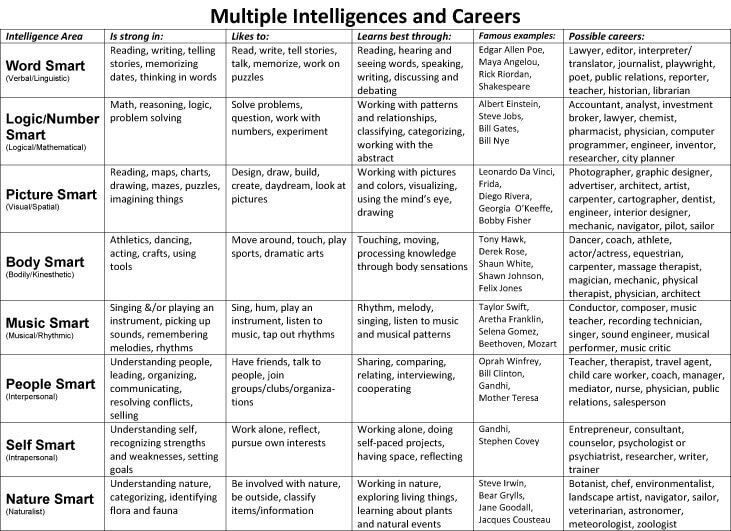 How does your intelligence fit with you and careers? Online experiences in each of the intelligences.